Here are a few Version Control Interview Questions for you! 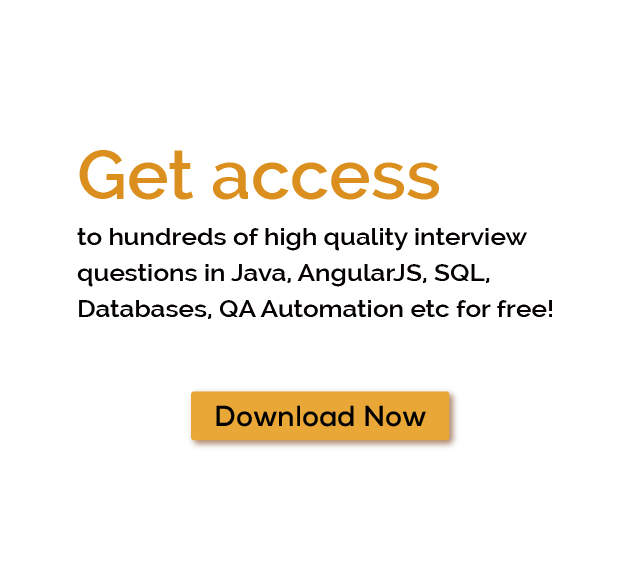 Download more High Quality Version Control Interview Questions! Version control systems are software tools used to manage software team source code modification with time. Version control software tracks each and every changes in the code. Developer can easily debug his previous work and compare earlier versions of the code to fix the mistake. Version control tools also help developers to easily work in collaborating environment. Primary function of these tools is just maintaining and tracking changes in the project with time. Software teams can focus on business logic and improve its productivity. So VCS are basically a convention of modern software teams to properly handle code as part of their configuration management and professional practices. Important features of version control systems. 1) Manage independent branches of code for different developers in a team to track their respective changes. 3) Merging of code from several branches to single branch. 4) Convenience of tracking changes in code to find which code and version introduces a bug. 5) Display changes with name of author and message in a particular version of code. This helps to easily find out reason of update. 6) Easy comparison across versions to resolve conflicts in code. 7) Developer can easily revert changes in the code to any state. These amazing features reveals the flexibility provided by subversion system for code-management. Now developers can easily work on different application module without thinking about any conflict. Git is the most popular Version Control System developed by Linus Torvalds. Git version control is a Distributed VCS. Till now, the most widely used version control system in the world is Git. Git is a mature, actively managed open source project originally developed in 2005 by Linus Torvalds, the famous creator of the Linux operating system kernel. Github android projects count are increasing day by day. Developers who know git scm are well represented in the pool of available software development talent and it works pretty well on a wide range of operating systems, VSS and IDEs (Integrated Development Environments). The basic performance characteristics of Git are very strong when compared to other alternatives. Many features like committing new changes, branching, merging and comparing past versions are all set to help developer. The algorithms used in Git take advantage of deep knowledge about common attributes of real source code file trees and how they are modified with time and what the access patterns are used. Unlike other version control system, Git is not fooled by the names of the files when finding what version history of the file tree should be but instead of this, Git focuses on the file content itself. After all, source code files are frequently renamed, split, and rearranged. Git has the functionality, performance, security and flexibility which is the need of most teams and individual developers. 2) What is a GIT repository? 3) What is the command to write commit message? 4) What is the difference between GIT and SVN? 5) What are the advantages of using GIT? 6) What language is used in GIT? 7) What is the role of GIT PUSH command? 8) Why GIT Subversion is better? 9) What is Staging Area in GIT? 10) What is GIT stash? 11) What is GIT stash drop? 12) How will you know in GIT if a branch has already been merged into master? 13) What is the function of git clone? 14) What is the function of ‘git config’? 15) What does commit object contain? 16) How can you create a repository in Git? 17) What is ‘head’ in git and how many heads can be created in a repository? 18) What is the purpose of branching in GIT? 19) What is the common branching pattern in GIT? 20) How can you bring a new feature in the main branch? 21) How can you fix broken commit? 22) How can conflict in git resolved? 23) What is the command to delete branch? 24) What is another option for merging in git? 25) WWhat is ‘git add’ is used for? 26) What is the difference between ‘git remote’ and ‘git clone’? 27) What is GIT version control? 28) Mention some of the GIT client for LINUX? 30) What is the function of ‘git diff ’ in git? Conclusion : Version control systems are the most important requirement of IT industry to manage source code modification and its history. Version control software tracks each and every changes inside the code. VCS has helped developer very much to debug his mistakes easily and resolve conflicts in project with other developer which results in fast development and quality work. Some of the many Version Control Interview Questions listed below will help you get an idea about what questions gets asked in such jobs related to Software Engineering & Tech. Get through the Version Control Interview bar with our selected Version Control Interview Questions for all Version Control enthusiasts! For thousands of similar Version Control Interview Questions login to our Website or download EduThrill. Experience the thrill of challenging people around the world on Version Control Interview Questions!